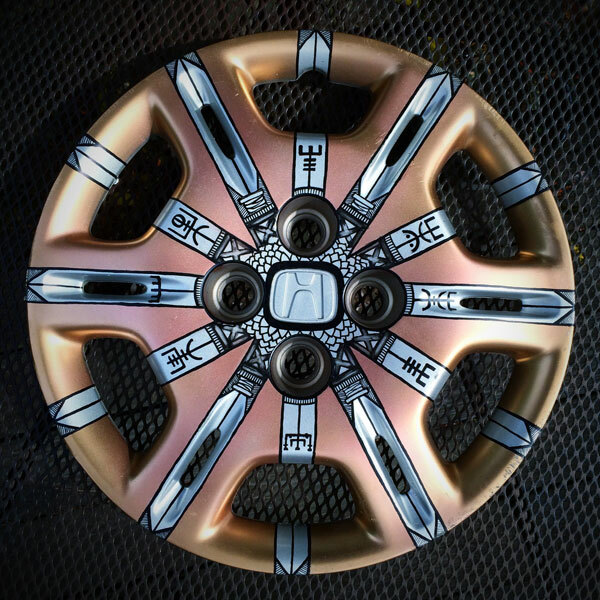 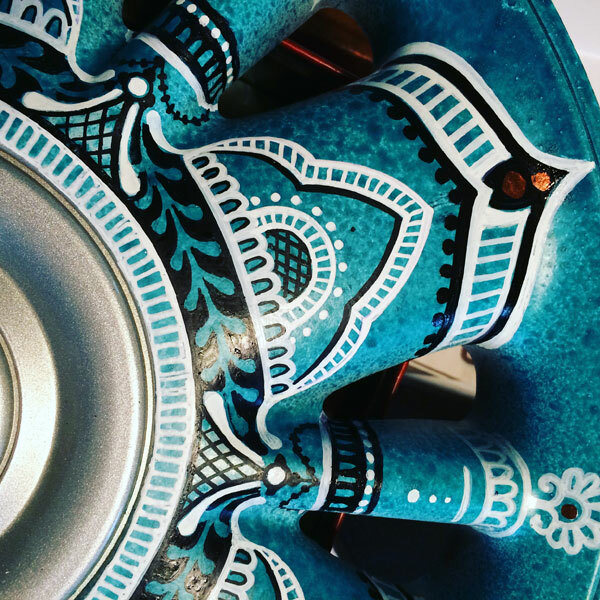 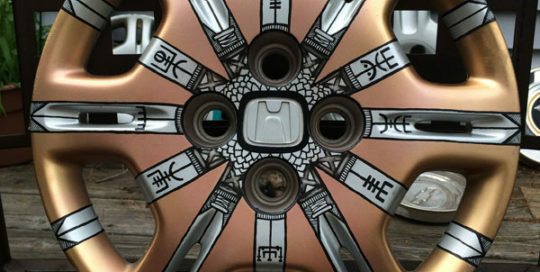 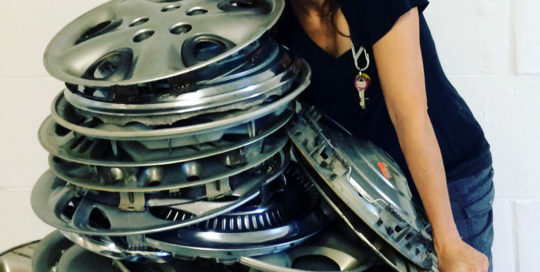 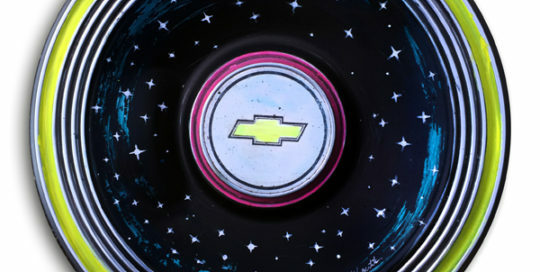 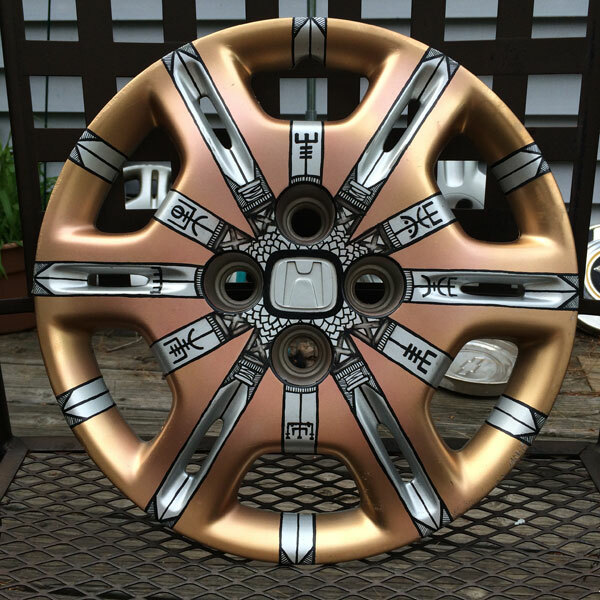 Hub Cap hand painted by Donna Gentile. 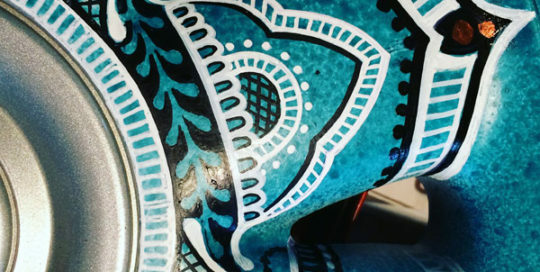 Inspired by henna designs. 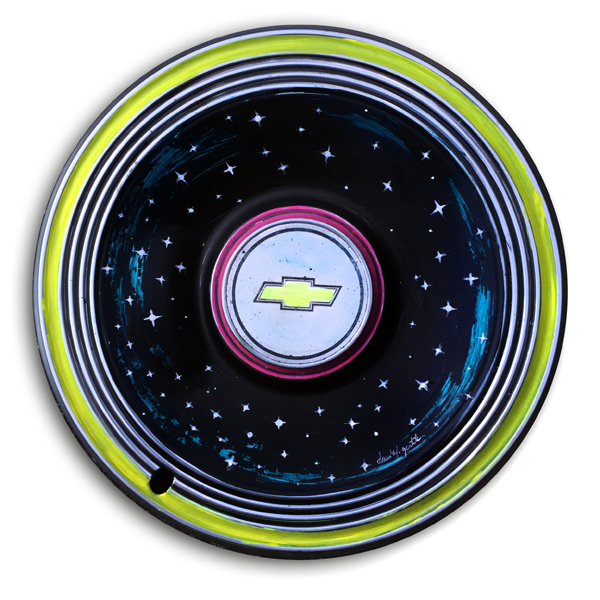 Hub Cap painted by Donna Gentile and gifted to a friend.